This guide will help you learn how to complete arc flash studies. You don’t need to go anywhere else. Before we get started with the guide, I want to quickly tell you what you should expect from these chapters. First, I want to keep this guide as brief and as practical as possible. This means that I will be keeping the discussions pertaining to the engineering theory to the minimum. 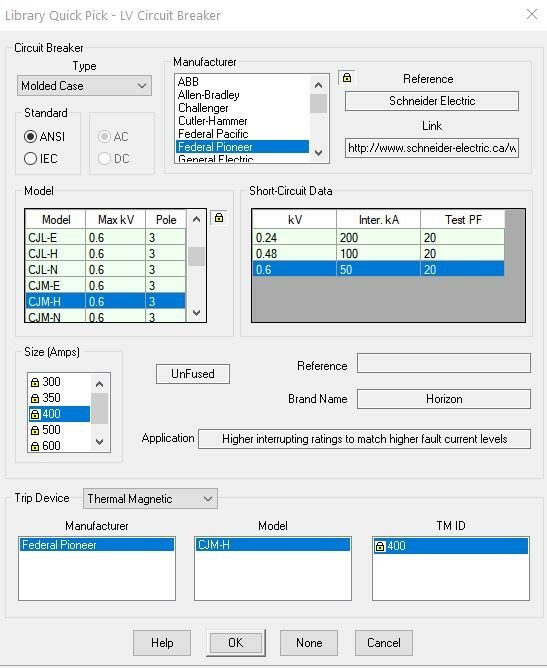 The main goal is to demonstrate the specific steps you will need to take to perform a quality arc flash study using the ETAP software package. If you want to read up on the theory behind the ETAP calculations, I encourage you to do so using their help directory. Lastly, I want to emphasize that I plan on keeping this guide updated regularly, so please check back often for new information. An arc flash incident energy analysis (or simply, an arc flash study) is first and foremost an engineering investigation designed to provide detailed safety information about a piece of equipment or circuit part to qualified workers servicing that equipment. Without this information and proper training, your electricians are left in the dark and will have little idea of what PPE to use when servicing the equipment. It is employers’ legal obligation to ensure employees adhere to existing regulatory requirements. Having an arc flash study done is not the law, but identifying your known hazards and letting people know about them definitely is. Arc flash studies just so happen to be the best way to do that. At the end of the day, if you are an employer who puts worker safety on a back burner, you will be held liable if an accident happens! Performing an arc flash study is typically done in phases or layers. The fundamental phases are data collection, followed by short circuit analysis, and then arc flash study. The goal is to collect as much information about the site as possible and reduce the amount of assumptions you make so your calculations are better. Arc flash studies with very few assumptions are worth their weight in gold in this industry. Data collection is without a doubt the most important part to performing an arc flash study. The more data you can obtain for the study, the less assumptions you will need to make. An arc flash study with lots of assumptions about the site can lead to incorrectly calculating the incident energy values. This can result in providing wrong PPE recommendations to qualified workers, either putting them in serious danger (too little PPE for adequate protection) or restricting their movement and visibility when servicing the equipment (too much PPE). For example, the arc flash category method described in CSAZ462 (NFPA70E) is a quick fix for sites that do not have an arc flash study done, but the solutions offered in the method are very conservative, suggesting 40 cal/cm2 suit as the go to solution when servicing most electrical equipment. The very first step in the data collection stage you will need to do is to contact the utility company that supplies power to the facility in question. Contact them right away and ask for the engineering department. Tell them that you are doing an arc flash incident energy study for a client and you require short circuit data for the main incoming to the site. This should give the utility company everything they need to provide you with the necessary information. Simple, but an important piece of information. Ensure that you know what the rated voltage value of the incoming line is. I have been given shot circuit data before with no indication of the incoming line voltage. Arc flash studies mainly look at single phase-to-ground fault (more common) balanced 3-phase fault (far less common) conditions. 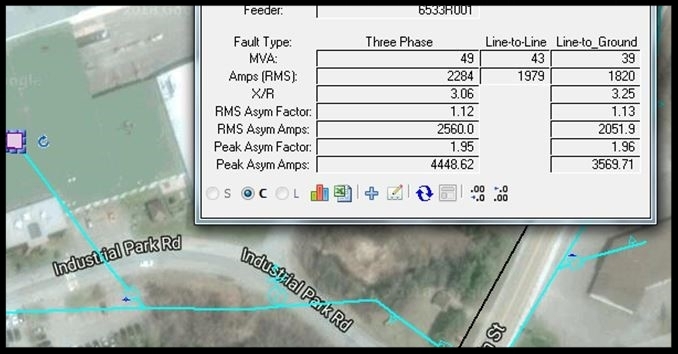 In order to look at both cases, you will need the obtain both balance 3-phase and 1-phase-to-ground utility fault values. You will need both positive and zero sequence impedance values. It is very important to obtain both values. Positive sequence impedance value is used to simulate a balanced, 3-phase fault condition, while zero sequence impedance is used to simulate a 1-phase-to-ground fault. If the main transformer is owned by the utility, then you will need to speak with them about obtaining the transformer data. You will need the transformer’s primary and secondary voltage, power rating, impedance, wiring, and grounding configurations as well as the cooling type. Furthermore, ask the utility to give you the fuse size on the line-side of the main transformer. 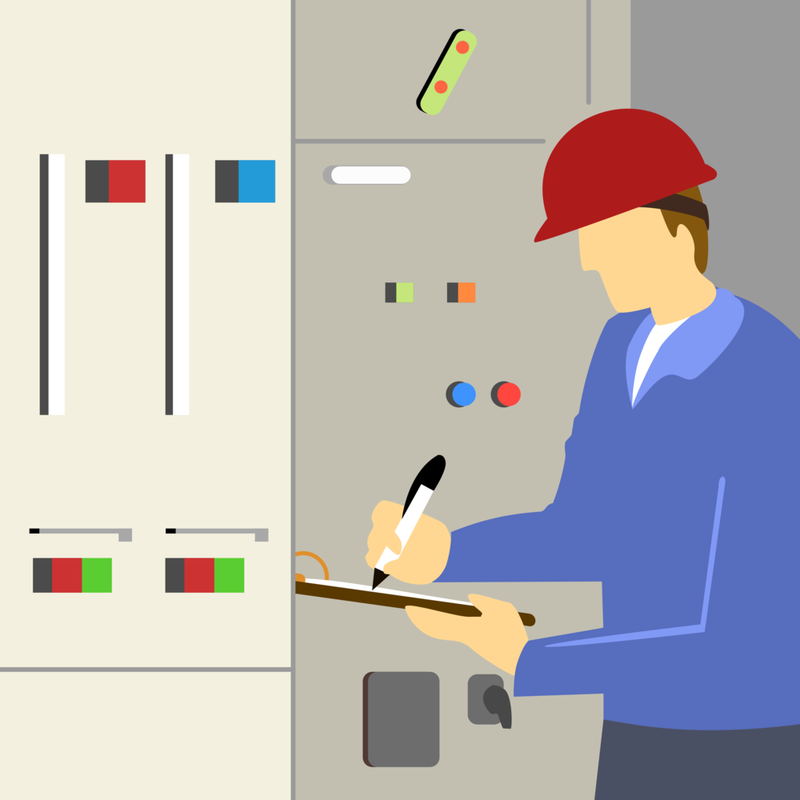 This is important because, without this information, you will not have sufficient data to calculate incident energy release at the main switchgear disconnect. After you have contacted the utility and asked for their data, it is time to proceed with the documentation review. The most important document you can ask the site to give you is their single-line diagram (SLD). Reviewing the SLD is useful because it is typically packed with important information, such as bus voltages, protective device data, motor and load information, and cable characteristics to name a few. Furthermore, you will also use the SLD to efficiently plan your routes while in the field as well as conveniently record any note-worthy data next to a visual reference. After the SLD, ask the site to provide you with any previous arc flash or short circuit studies, if any were done in the past. Additional documentation such as equipment lists, or manufacturer’s equipment schematics can also prove useful for the study. Once you have all the supporting site documentation, it is prudent to verify it by doing an actual field visit. If it is not your workplace, ask the site to provide you with an electrician or any qualified person who knows the site fairly well and can show you around. This will make your job a lot easier, especially if the site is large and complex. Below is everything you need to gather on your site visit to compile a stellar arc flash study for your customer or your site. inside each Switchgear, MCC, VFD and load center is a bus that needs to be assessed when performing an arc flash study. As such, the first thing to do is to take a picture of each piece of equipment from a distance and an angle, so you can keep things in perspective and keep your data organized. Then, find the information plate and take a picture of it to obtain the information about the bus. The information plate will tell you important parameters about the bus, such as the maximum ampacity and the short circuit rating. You will need this information if you are doing a load flow study as part of your comprehensive arc flash assessment, which I will talk about in later chapters of this guide. After you snapped a picture of the nameplate, it’s time to zoom in on the breakers. Breakers come in many different shapes and sizes, from the giant gas-insulated breakers found on the line-side of the 13.8 kV line-up (high voltage circuit breakers or HVCB), to the small molded case circuit breakers found inside the lighting panels (low-voltage circuit breakers or LVCB). Since the incident energy level is a function of protective device (PD) operating time, it is paramount to have the complete breaker information. Most HVCB and LVCB will have this information visible. 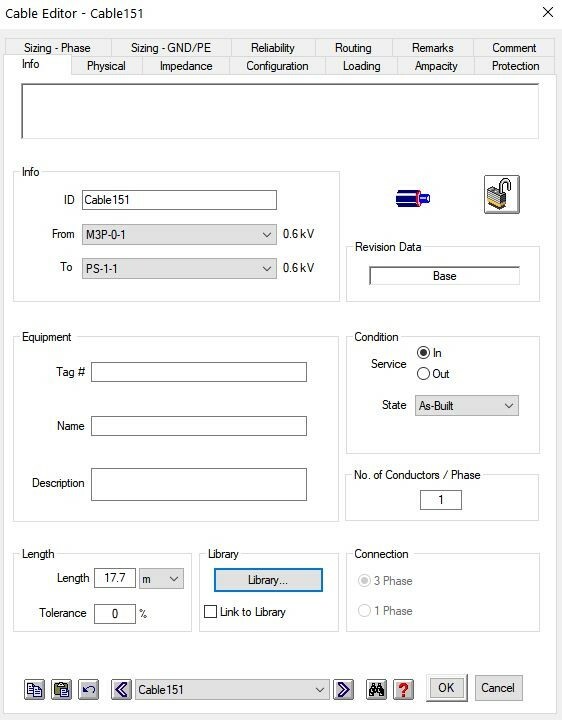 You will need this information to accurately find the breaker’s relay in your arc flash software library. In certain scenarios, you will come across a breaker that does not have this information visible. If that is the case, ask the electrician to open the breaker cubicle (in case of a vacuum HVCB) or the panel’s secondary cover (in case of a panelboard LVCB). Make sure that you and your electrician are wearing proper PPE when doing so. You will need two pieces of information here: the relay’s thermal and magnetic settings used for overload and overcurrent conditions respectively. Note that a lot of smaller LVCB (typically less than 100A) will come equipped with a non-adjustable relay, with fixed thermal and magnetic characteristics. For LVCB with adjustable relays, the relay will often be housed right next to the breaker. For HVCB, the relay will be in a separate cubicle. If the relay is fairly new, you may need to access the relay’s thermal and magnetic settings using a computer interface. Having the LVCB and HVCB relay information is important because the arc flash software will use this information to accurately calculate the breaker’s trip time as well as to plot the breaker’s TCC characteristics. Take a picture of a nameplate of every static var compensator (SVC) bank, harmonic filter bank or reactor enclosure you come across. In the case of SVC and harmonic filter banks, you will need to know the system voltage and the kVAR supplied. In the case of reactors, you will need to know the impedance rating. SVC and filter banks pose a serious arc flash hazard, so you will obviously need to create a label for each SVC and filter bank you come across. SVC, harmonic filter, and reactor information is paramount if you are planning on doing a load flow study. 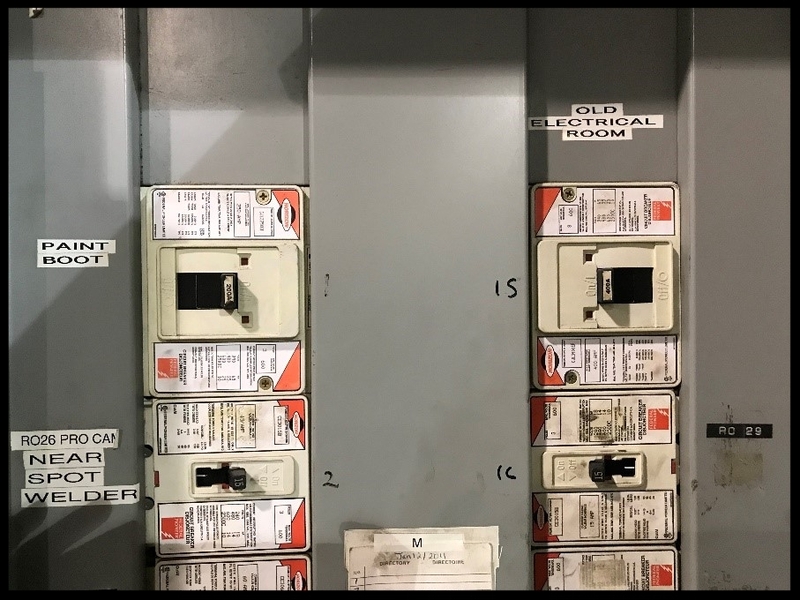 Much like the switchgear, start by taking a picture of the transformer from a distance and an angle, then zoom in on the nameplate. Take a detailed picture of every disconnect you come across on your site visit. Ensure that each picture has the nameplate clearly showing the manufacturer and model of the disconnect. More importantly, you will need to know if the disconnect is fused or not. This is because fused disconnects are considered protective devices and will affect the incident energy values, while non-fused ones are not considered protective devices and will do nothing for your arc flash calculations. In a lot of cases, you can find out by looking up the serial number, which is also found on the disconnect nameplate. When you come across a fused disconnect, make sure you know what fuses are currently in there. Ask the accompanying electrician to either open up the disconnect or give you their list of disconnects with their existing fuse configurations. Always wear proper PPE when opening up covers of electrical equipment. In order to do an accurate arc flash study, you will need the complete information for every cable found on site. This is because cables dissipate fault current, which reduces the incident energy release. For larger and more complex sites, the cable information will typically be given on their single-line diagram. If this information is not given on the SLD, then you will have to ask for the cable impedance data. If the client/your site does not have this information in a document that can be given to you, then you will have to assume the cable parameters. The length of the cable is often the most difficult information to obtain. From my experience, the cable length often ends up being assumed. A good rule of thumb is to assume 100 ft. length for the switchgear cables and 500 ft. length for the MCC cables. You can assume 10 ft. length for small panelboard and slitter cables where the load is nearby and is physically visible to you. Large inductive loads (or anything over 50HP) will affect the results of your arc flash study. This is because in the event of a fault, motors will act like generators, releasing the stored energy which will contribute to the overall fault current value. This will increase the incident energy release. For example, a 75HP, 600V compressor can add an additional 5% to the existing fault current value on its bus. Therefore, it is important to include the load information in your arc flash study. If the site is small enough, you could go out and see every motor’s nameplate on your site visit. The advantage of this is that you will end up obtaining the motor’s rated efficiency and power factor numbers without having to assume them, improving the accuracy of the study. However, going to see every single motor in a large industrial site is an impractical and incredibly time-consuming task. As such, when doing an arc flash study for a large and complex site, simply ask for their complete load information. It is typically an excel document with information on the rated voltage, HP, and full-load amp (FLA) of every existing motor on site. In this case, you will likely not have the motor’s power factor and efficiency data listed there, so assume National Electrical Code (NEC) typical data parameters, which do a good job at approximating the motor performance. When out on the field, you will undoubtedly come across equipment that is not listed on the site’s SLD. Every site will have this issue, some sites more than others. This is often the case with new installations. Ensure that you take good pictures of the missing equipment. Record its specs as well as well as its inter-connectivity and let the site know that you found some equipment that is not listed on their SLD. They will be happy to know that you are doing a thorough analysis of their assets. Now my goal is to get you familiar with laying out the single-line diagram (SLD) using the ETAP software package, then to show you how to expediently fill in the required data for each ETAP element in order to perform proper and accurate calculations. When you first open ETAP, go to File, then New Project. Afterward, you will come across the following window, depicted below. Fill in the required info, such as the name of the project and then specify the storage directory. Once you have filled in all the info, you will be taken to a blank screen where you will begin creating the SLD for your arc flash study project. In this phase of the project, the goal is to simply lay out all the necessary single line diagram elements in ETAP labeling them as you go. Everything you will ever need to build a complete single line diagram is located to the right of the screen, depicted below. When you begin laying out the SLD elements, do not fill in all the required data yet, you will do this in later parts of this guide. Naturally, you will start from the most upstream element of the SLD, and then work your way down stream. To begin, find the icon called Power Grid and place it on the top middle portion of the blank screen. From there make sure you enable the one-line Auto Build. This feature will save you a lot of time by automatically connecting the SLD elements for you. The button to enable this feature is depicted here. After you have placed the power grid, place the rest of the SLD elements by clicking on the corresponding icons. If you mistakenly place a wrong SLD element, simply highlight it and press the delete button on your keyboard to send the element to the system dumpster. The flow of your SLD in ETAP should be logical, corresponding to the site’s existing SLD. The major goal in this step is to label the ETAP elements as soon as you place them. The labels should correspond to the element IDs found on the site SLD. To label an ETAP SLD element, simply double-click on it, find a tab called Info and fill in the section called ID. While your ETAP Single-Line Diagram (SLD) will closely resemble the site SLD, there will be a few notable differences between the two. Below are a few notes of the ETAP SLD elements that will likely be laid out differently than their site SLD counterparts. In ETAP, a bus is a lot more than just a node with a constant voltage. When you compile your system and perform the analysis using ETAP’s various modules, such as load flow, short circuit or arc flash, most of the analysis performed by ETAP will be done on the actual busses of the system SLD. As such, your ETAP SLD will have a lot more busses than your site SLD. Here is an outline of where your busses should be located on the ETAP SLD so you do not miss out on any important results when it comes time to do the calculations. These two figures do a good job at depicting exactly what I am talking about here. Transformer – each transformer will have two busses: one for the primary set of windings, and the other is for the secondary set of windings. This is important because fault current and arc flash energy release numbers will not be the same on the primary and the secondary sides of the transformer. Switch – Each switch (disconnect) that you include in the SLD should have a bus on the load side of the switch. 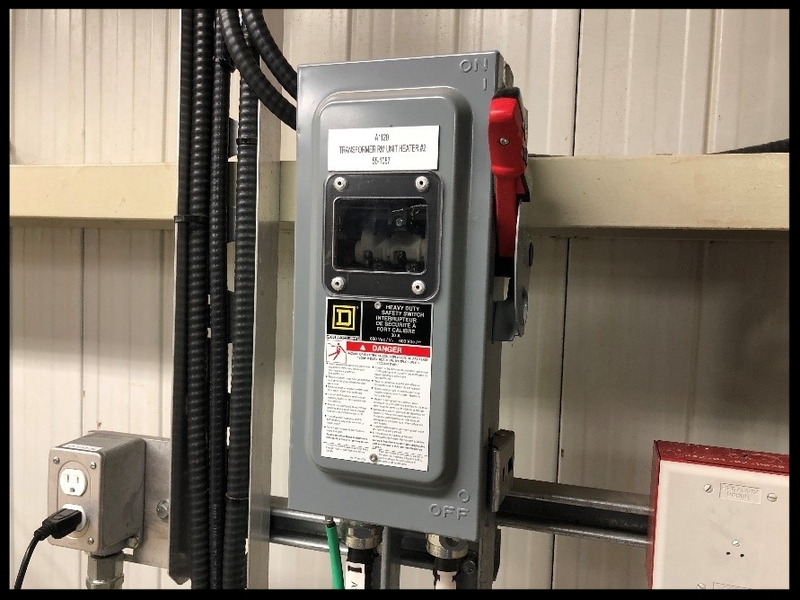 This is important because every switch of the facility in question will need to have an arc flash label, warning the electricians that service them of potential danger. Panelboards – technically, ETAP does have a separate SLD element for panels. However, from my experience, I have found that it is visually much easier to simply define the panel systems on the ETAP SLD as busses. Loads – in ETAP, your loads should always be defined as busses. Small motors (less than 50 HP) and small static loads can simply be left as “naked” busses, with nothing attached to them. Larger motors and static loads should be defined as busses with either a lumped load or an induction machine attached to them. When putting together your model in ETAP, do not forget that you have to include cables. Cables should be placed in their logical locations. Using the images from above (the single line diagrams), you can see that there is a set of cables that goes from the utility to the main padmount that feeds the site. From the padmount, there is another set of cables that feeds the main disconnect of the switchgear. Remember that cables are important because they dissipate the fault current, reducing the overall incident energy release. The larger the cable, the more fault current dissipation is expected. In ETAP, there are three types of PD: fuses, high-voltage circuit breakers (HVCB) and low-voltage circuit breakers (LVCB). Disconnects are simply modeled as switches and by themselves do not offer any protection again fault currents. Here is what to do to properly lay out each ETAP PD element. When compiling a SLD in ETAP, most of your fuses will likely come from fused disconnects. To create a fused disconnect in ETAP, simply model it as a switch in series with a fuse. Do not forget to include a bus for the disconnect, as mentioned earlier in the article. HVCB will have to be connected to their corresponding relays through a current transformer (CT) in order to properly interrupt the prospective fault currents. 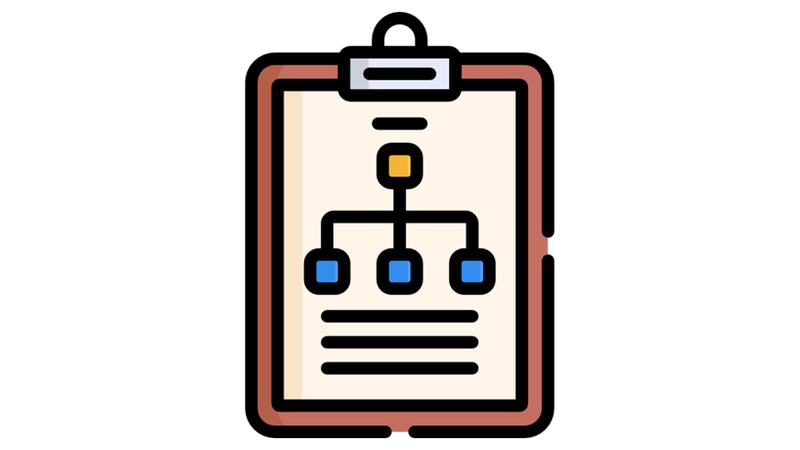 Find the HVCB icon and place it on your SLD diagram. Notice the breaker’s corresponding bus. 2. Find the current transformer (CT) icon and place it on the circuit line. It does not matter if the CT is placed before or after the HVCB. Ensure that you know the primary-to-secondary current ration of the CT. In my example, it is 1200:5. 3. Find the multi-function relay icon and connect it to the CT as depicted. If the system contains multiple relays that all control the same HVCB, you can simply connect them in series to one another. In my case, this particular circuit breaker is controlled by a single relay. As mentioned in the previous notes on laying out busses in ETAP, always start by defining each load as a bus. From there, if the load is a large motor, you can attach an induction machine or a synchronous motor element to the load bus. If the load is a large static load such as a lighting panel, you can attach a static load element to the load bus. I know a lot of engineers like to use the Lumped Load element when defining load busses in ETAP, but personally, I do not like to do that. This is because in ETAP, lumped loads are defined as a combination of an inductive load and a static load, with the distribution of the two load types defined by a percentage. To me, this is an oversimplification and does not provide results accurate enough for my liking. As such, I stick to using induction machines/synchronous motors and static load elements. After you are done laying out all the elements in ETAP, your SLD should like something like the one depicted above. Visually inspect your SLD to make sure that you have labeled every element in your diagram. You should also make sure that your SLD is neat and organized, with lots of space between each element. Once you are done laying out all the elements in your SLD, it is time to start filling in the data you have gathered during the data collection phase. Refer to chapter two of this guide if you need a refresher on what data you need to complete your study. Filling in the data for every SLD element is definitely a time-consuming process. The process could either be quick and easy, or slow and painful, depending on how well you have performed the data collection phase. In this section, I will talk about how to properly fill in the data for each element in your SLD. You need two pieces of information here: the bus nominal voltage and the bus type. The nominal voltage information slot can be found right under the ID, as depicted here. Note that the nominal voltage measurement is always in kV, not V. Keep this in mind when you are filling in the voltages for each bus. Next, go to the Rating tab and find the Type drop-down list, as depicted here. Select the appropriate bus type from the options listed there. The Type drop-down list plays a very important role in the calculation of the incident energy release. Note that the switchboard and the switchrack types are handled the same here. This is also the case for the Cable Bus and the Other types. After placing the HVCB and the relay SLD elements in ETAP as discussed earlier in this chapter, you need to go through a few more steps to ensure that the HVCB and the relay in question are working properly. In order to connect the relay’s logic to the HVCB, you will need to specify this in ETAP. Double-click on the relay icon, find the tab called Output and define the logic. In the Interlock subsection of this tab, make sure you have the right HVCB selected under Device ID. Notice that under Action, it says Open, meaning the breaker will open when the fault current threshold specified by the relay is reached. Lastly, you will want to specify the relay’s manufacturer and model, as well as its overcurrent and overload parameters. All of these settings can be found under the tab called OCR. In this example, the relay has a very inverse curve type and is set up to detect phase-to-phase as well as phase-to-ground fault conditions. All the other settings, including the instantaneous trip characteristics, are disabled. Unlike the HVCB set up, you do not need to specify a separate relay element; all the required info is in the Rating and the Trip Device tabs. Double-click on a LVCB to bring up the info editor. Go to the Rating tab, then click on the Library button. Once in the library menu, scroll through the extensive lists of manufacturers and models until you find the right LVCB. Be patient, as this step might take a while. If you can’t find your LVCB in there, try changing the Type of the LVCB by navigating the drop-down menu located in the top left part of the screen. Recalling all the arc flash studies I’ve done in the past, I can only remember a few cases where I was not able to find the exact LVCB manufacturer and model in the library menu. Once you have located the correct LVCB, do not forget to select the appropriate rated voltage of the breaker, as well as its size. Lastly, you will need to specify the relay parameters in the tab called Trip Device. Specify the thermal and magnetic characteristics to match the breaker’s actual relay settings. The fixed setting means that the trip curve will follow a predetermined time-current characteristic. Double-check to make sure you have selected the correct sensor ID and the rating plug. For every induction machine or synchronous motor that you create in ETAP, you will need to specify the motor parameters which are found in the Nameplate tab. Define the motor’s rated voltage as well as the HP. If you were diligent enough to collect the detailed motor data, you can specify the motor’s FLA, %PF and %EFF using the manufacturer’s characteristics. If not, you can specify the motor’s FLA, %PF and %EFF using the typical parameters given by the National Electrical Code (NEC), which will give you a close approximation of the motor’s actual behavior. Filling in the necessary data for static loads is easy. Double-click on the static load element in ETAP, find the tab called Loading. From there, simply specify the rated voltage, kW, and kvar consumption. Double-click on a cable to bring up the info editor. As usual, the first tab you will see will be called Info. I do not typically modify the cable ID, I leave it as is. The reason for this is obvious: most sites do not use any identification for their cables. The first piece of information to fill out then will be the length of the cable in question. As mentioned earlier, the cable length is very difficult to accurately measure and therefore is often approximated. Another important piece of information to fill out in the Info tab is the number of conductors per phase. Lastly, find the library button located in the bottom part of the Info tab. Click the button to bring up the cable library. From there, select the desired cable characteristics, such as the rated voltage, the cable type (copper or aluminum), as well as the size of the cable. Start by clicking on the Rating tab and filling in the primary and secondary winding voltages. Once again, remember that the voltages are in kV, and not V.
Then fill in the transformer’s power rating. Also you will need to specify the type of the transformer by using the drop-down menus on the bottom of the tab. This particular transformer is a dry type with natural air cooling. Next, go to the Impedance tab to specify the transformer’s impedance. In rare cases where you are not able to obtain this value, you can always approximate it by clicking on the Typical Z & X/R button. Lastly, go to the Grounding tab and make sure to specify the winding connections as well as the grounding type. The transformer has delta primary and wye secondary winding configurations, with the secondary winding neutral solidly connected to ground. Go to the Rating tab to specify the rated kV of the power grid. The, go to the Short Circuit tab to fill in the short circuit data given to you by the utility company. Note that the MVAsc and SC impedance values do not need to be filled in by you. Instead, they are automatically calculated based on the 1-phase and 3-phase fault current parameters as well as the X/R ratio. If you follow the steps talked about in this chapter, you should have no issues when it comes to creating a SLD in ETAP and filling in all the required data. In the next chapter, I will show you how to begin running various study cases using ETAP’s short circuit, load flow, and arc flash modules. 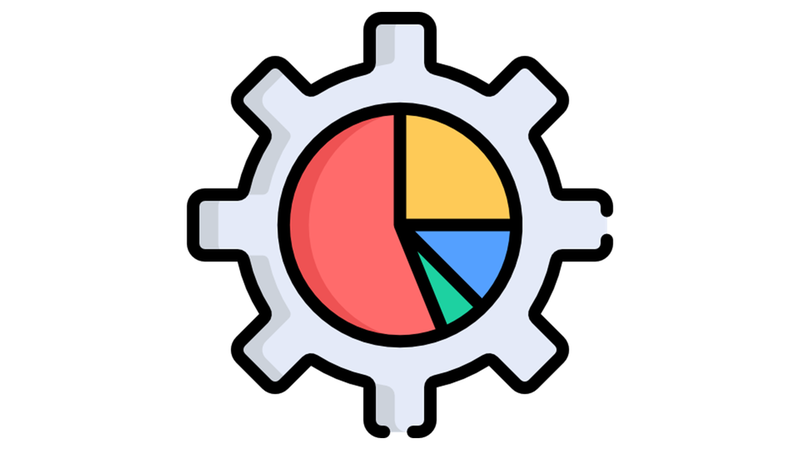 Then, I will show you how to organize and tabulate the results for your report. In this chapter, we need to get your model running with no errors. Once your SLD diagram is complete and all the necessary data is filled in, the next thing to do is to make sure that your ETAP model is running smoothly, with no errors present during the simulation. To check if your model has errors, click on the Load Flow. Then click on Run Load Flow icon. This is the error you get when your bus voltage does not match the transformer voltage. Double-click on the error message to be taken to the source of error. Check its nominal voltage to make sure it matches the voltage of the upstream transformer’s secondary winding and/or the downstream transformer’s primary winding. XFMR positive-sequence X/R equals 0. This is the error you get when one or more of your transformers has an impedance ratio that equals to 0. Click on the Impedance tab and specify the correct X/R ratio. Remember, as mentioned earlier, you can always approximate this value by clicking Typical Z & X/R button. Another common error message you get when you forget to specify the cable’s impedance values. Double-click on the error message to be taken to the cable in question, click on the Library button located on the bottom of the Info tab and select the appropriate cable parameters. Once you have verified that your model is running with no errors, you can proceed to running the ETAP simulation modules. Short circuit study is the first module you will be required to do in your model simulation. This is because obtaining the short circuit values is required to run the other simulation modules, such as load flow and arc flash study. Here are the steps you will need to take to perform a short circuit study. 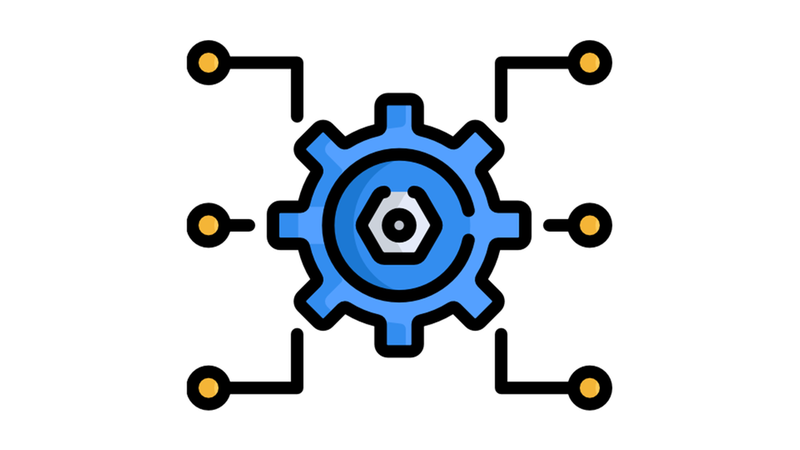 Click on the short circuit module icon. This will bring up the system short circuit interface. Click on the new study case icon. You will then be prompted to name your short circuit study. After choosing the name for your short circuit study case, click the briefcase icon called Edit Study Case. This will bring up the study case menu where you will be required to make some adjustments. The study case menu is comprised of 4 tabs (Info, Standard, Adjustment, and Alert), each filled with many various adjustable options. To keep things simple and practical, I will only talk about the options that I recommend changing from their default values. If you want to find out about all the different options contained in this menu and learn how changing them will affect your study case scenarios, I recommend you clicking on the Help button located on the bottom part of the Study Case window to read up on them in the ETAP help directory. The help directory is very useful and does a great job at explaining the theory behind the various study case options. In the Info tab the first thing you will need to do is actually fault the various busses in your system that you want to analyze. Go through the list of busses shown under the Don’t Fault list and select every bus that you want to fault, then click on the Fault button to bring them over to the Fault bus list. Motor Contribution – set at Motor Status or Both – naturally, you will want your inductive loads to contribute to the overall short circuit values. This will give you a more realistic scenario. Report Contribution – set at Level 1 – this setting will specify the short circuit contributions from other busses at “X” levels away to each faulted bus in question. I like to leave this setting at 1 to correctly trigger only the most upstream PDs from each faulted bus. In larger studies, I have also found that increasing the report contribution level will greatly increase the computation times. Once you have set up the case study for the short circuit analysis, it is time to tell the software to do your calculations. Click on the Run 3-phase Device Duty button and allow the software a few moments to perform the computation. When the software finishes performing the short circuit calculations, your screen will look something like this. Note that the faulted busses that are included in the study case analysis are highlighted in red, with the fault currents shown near each faulted bus at a slight angle. Individual fault contributions from each branch are also shown as small numbers in red, before each faulted bus. There are many ways you can obtain and export the results from the short circuit study. ETAP has a feature that allows you to compile a comprehensive report with one click of a button. While this feature is expedient and somewhat useful, I find it often gives you a lot of unnecessary information. As such, I never let ETAP compile everything in the report for me. Instead, I use excel to export the information that I deem necessary and useful. Click on the ANSI Short Circuit Analyzer button. You will be taken to the short circuit analyzer menu. On the bottom left portion of the menu, ensure that you have Device Duty selected. 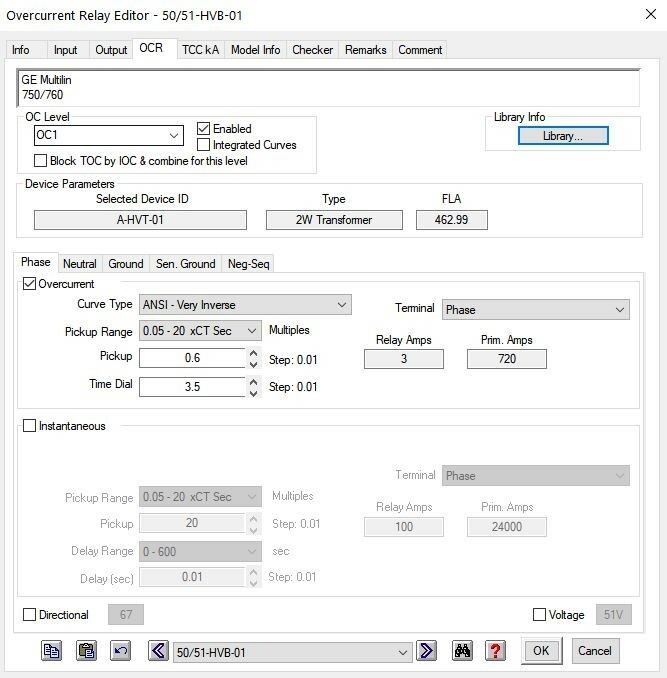 Under Device Type, select Bus to bring up the short circuit results in the main part of the menu for every faulted bus in the simulation. You can control how much descriptive info you want to disclose about each bus, as well as what kind of results you want to show. To export the result to an excel file, click Export, then specify the name of your export file as well as its storage directory. 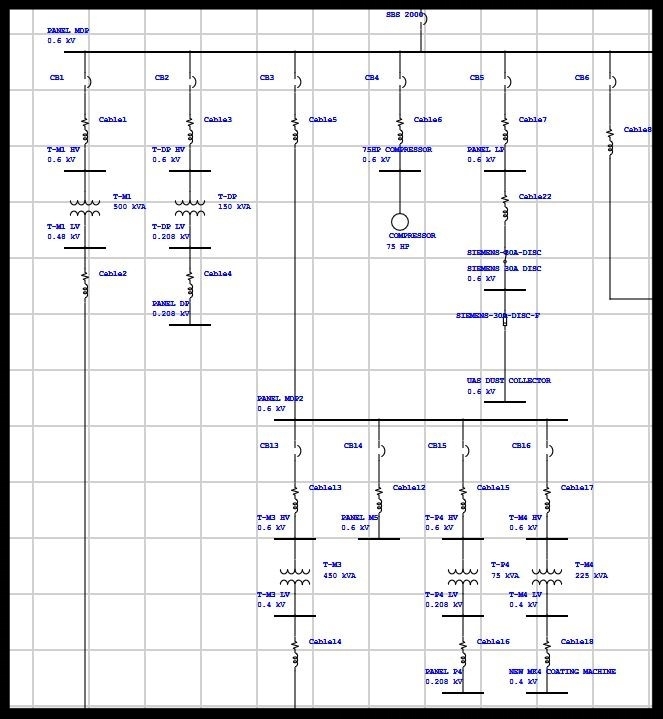 When I run short circuit calculations for my clients, I like to include detailed short circuit analysis for each faulted bus in the system. Furthermore, I like to assess each HVCB and LVCB by selecting these options under Device Type to ensure that the potential fault current values do not exceed the PD ampere interrupting capacity (AIC). If I come across a PD that has an insufficient AIC for its prospective fault current, I highlight this finding in the report and provide appropriate engineering recommendations for PD that have insufficient AIC rating. Once you are finished with simulating the short circuit calculations and are happy with the exported data, it is time to proceed to the arc flash incident energy analysis. Click on the Arc Flash module icon, which is located right beside the Short Circuit icon. This will bring up the ETAP arc flash interface. Just like with the short circuit, click on the New Study Case icon. You will then be prompted to name your arc flash study case scenario. After choosing the name for your arc flash study case, you will once again click on the briefcase icon called Edit Study Case. This time, the menu will be comprised of 7 option tabs. The first menu tab called Info is kept the same as the Info tab found in the Short Circuit study case. Once again, you will have to go through the list of busses shown in this menu and pick the busses you want to analyze by bringing them to the Fault list. Arc Flash Method – set at IEEE 1584, with the Arc Current Variation for LV set at 15% - when I perform incident energy calculations, I always stick with the IEEE 1584 methodology, as it is the most comprehensive arc flash standard used to determine the incident energy values for AC systems. I always vary the arcing current by 15% when I do my calculations. If this variation option is selected, ETAP will do two sets of calculations of arcing current for each bus, one calculated at 100% of the bus arcing current (Ia), the other calculated at the reduced value of Ia, with the percent reduction specified in the box. Whichever calculation ends up giving the highest incident energy value, ETAP will use as the final incident energy value for the bus. Bus Fault Current - use both ½ cycle and 1.5 to 4 cycle – when ETAP determines the fault current at any given bus, it takes a snapshot of the symmetrical fault current waveform to do so. This setting dictates at which point of time the software is going to take a snapshot of the current waveform. The first setting determines the fault current at the ½ cycle mark of the fault current waveform. This is also known as the momentary fault current. The second setting determines the fault current between the 1.5 and 4 cycle mark. This is also known as the interrupting fault current waveform. When I perform my calculations, I like to simulate both fault current cases and use whichever case yields me the highest incident energy numbers. To use both settings, you will have to create two separate study cases, one for each setting. 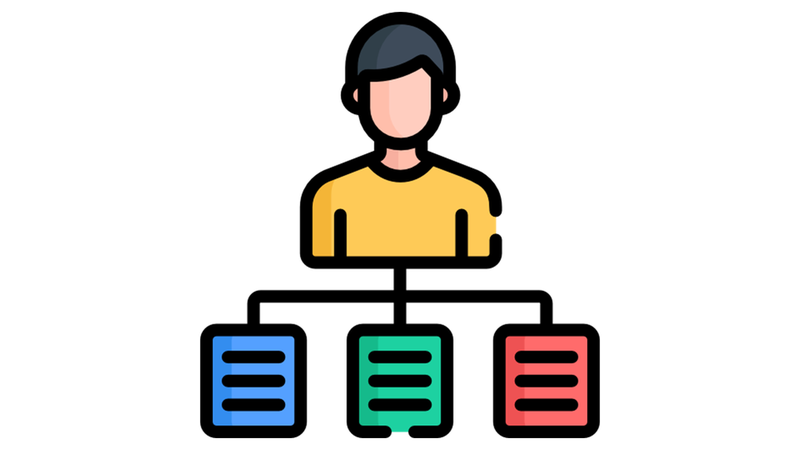 Luckily there is an easy way to create a second study case, without having to go through the tedious task of individually faulting every bus in the Info tab. To do this, simply click on the New Study Case Icon, then duplicate the study case using the settings from the previous study case. Then, go to the newly created study case, click on the Method tab and select the 1.5 to 4 Cycle option under Bus Fault Current. Fault Clearing Time (FCT) – use Auto Select Source Protective Device – you will want to let ETAP automatically choose the most appropriate PD when simulating fault conditions. Most of the time, the PD will be the most upstream from the fault current. You will also want to have the option of selecting your own source PD in certain cases, so put a check-mark beside Except if PD is Selected in Bus Editor. Furthermore, I usually put a check-mark beside Limit Maximum FCT and set the maximum FCT at 2 seconds. When the software finishes performing the arc flash calculations with no errors, your screen will look something like this. Note that once again the faulted busses that are included in the study case analysis are highlighted in red, with the arcing currents shown near each faulted bus at a slight angle. Furthermore, each bus will have 3 lines of information displayed in red font beside it: an incident energy release level using the NFPA 70E 2012-1015 standard, an arc flash boundary, and as incident energy number calculated using the specified working distance. Click on the ANSI Arc Flash Analyzer button. From there, you will be taken to the short circuit analyzer menu. 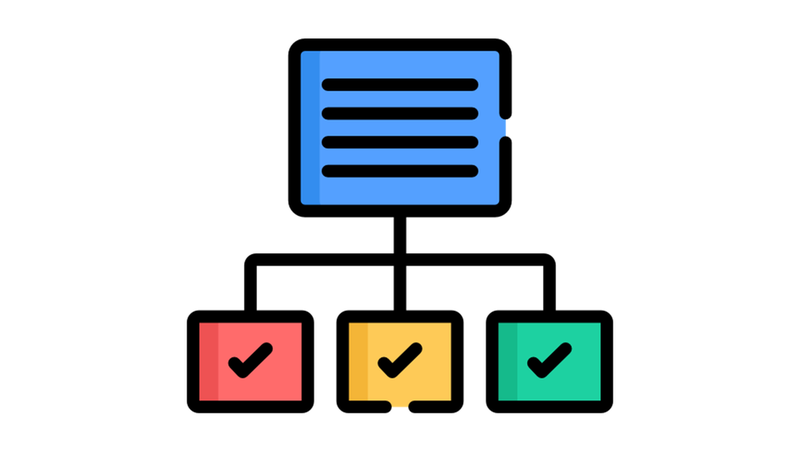 Just like with the short circuit results, you can control how much descriptive information you want to output, as well as what results you want to display. If you have more than one active case study, place the check mark beside Incident Energy, located right under the Copy and Sort buttons. From there, I recommend you to select Worst Case option to display the most critical case results calculated from the case study options we talked about earlier. Once you are happy with the displayed results, click on the Export button to export the displayed table to excel. If you follow the steps outlined in the chapters of this guide, you should have no troubles performing a quality, comprehensive incident energy study for your client or your site. As mentioned earlier, I do plan on regularly updating this guide, so please check back often for additional information. Thank you for taking the time to read this guide, stay safe and keep your safety culture charged!